VIDEO: Hawaii County first state of the county address, twice! 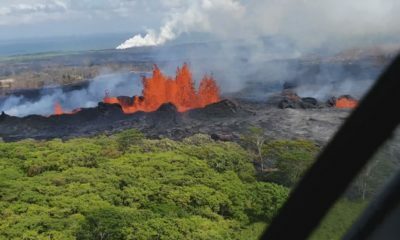 Thursday was a special day in Hawaii County. For the first time since his administration took office, Mayor Billy Kenoi delivered a state of the county address; and to be fair to both sides of the Big Island, he delivered the speech twice! 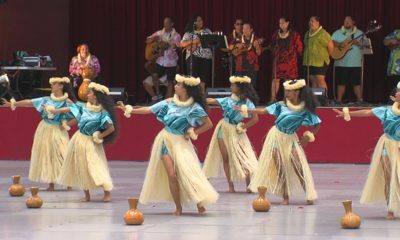 First, on Thursday morning at the new West Hawaii Civic Center in Kona… and again, later that same evening, in Hilo at the Aupuni Center. The address marked the end of an entire week’s worth of state of the government speeches, made by Hawaii Governor Neil Abercrombie, President Barack Obama… and even Hawaii’s Chief Justice gave a State of the Judiciary speech this week. Continuing the theme of the week was a message of fiscal responsibility, in light of a massive budget challenge. 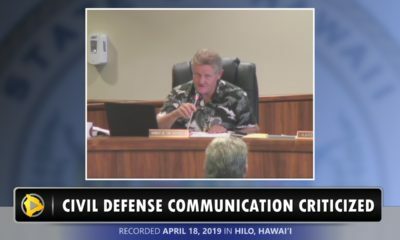 Kenoi said that it was likely that the county would have to start charging a fee to ride the free Hele-On bus system that has been the pride of the administration. However, he also suggested that the county may be looking to somehow negotiate an end to county worker furloughs. 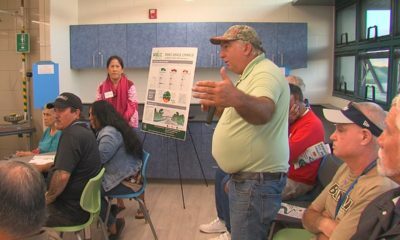 The Mayor also focused on several if his administration’s accomplishments: the opening of the Old Mamalahoa Bypass in South Kona, the Kapulena agricultural effort, and the big, federally funded Ane Keohokalole Highway project in Kona. Of course, another big positive for the county… the finished West Hawaii Civic Center, which provided a scenic backdrop for the mayor’s first address in Kealakehe. The project was started by the previous administration and previous council, but his administration saw the project finished on time and under budget. 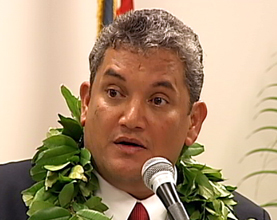 The mayor also made some forward thinking statements… specifically, Kenoi spoke of a bold new energy push. The mayor says Hawaii is currently using 32% renewable energy, with a goal of 70% by 2030. 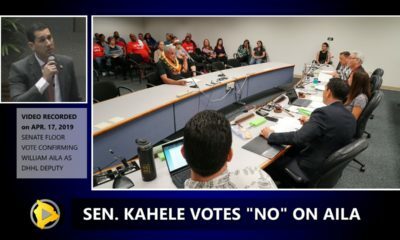 Kenoi says the Big Island can do even better than that. He also directed focus on the upcoming APEC conference, which will convene world leaders in Hawaii to discuss the energy future of the Pacific region. “And our children and our childrens’ children will one day thank us for making the right decisions for the right reasons,” concluded the mayor. 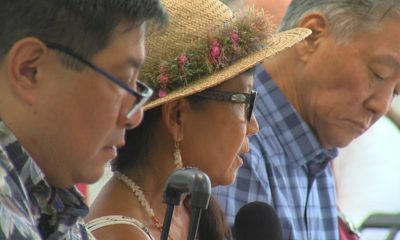 Big Island Video News will present the entire speech, broken down by subject, in the coming days.